There is a purpose for every interaction in your life. Some people come into your life and light a fire in your soul to go after your dreams. This beautiful couple is so motivated and driven to be successful in their own lives. Positive vibes radiate from them and you can't help but feel inspired by just being in their presence. Thank you Breanna & Barry for being that positive light in my life that I needed. I'm so happy I got to shoot with these two again. 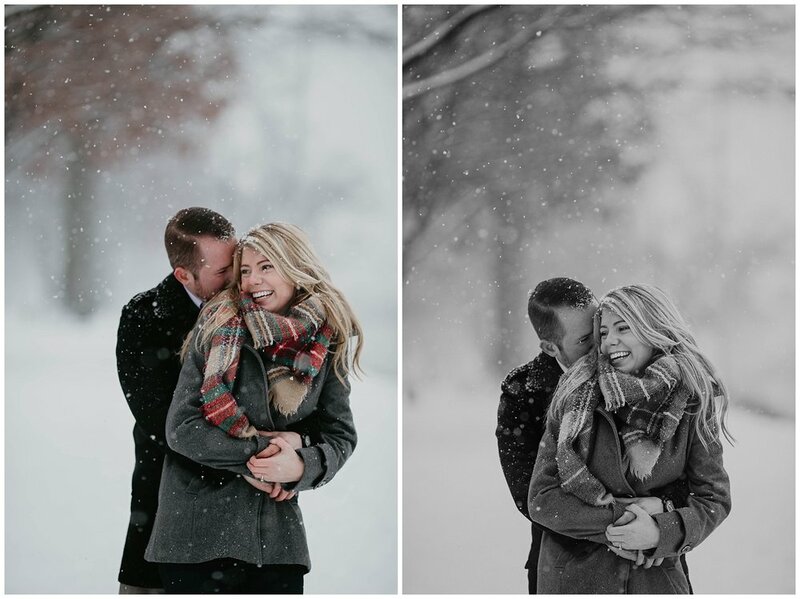 You can feel the heat of their love even in these snowy pictures. 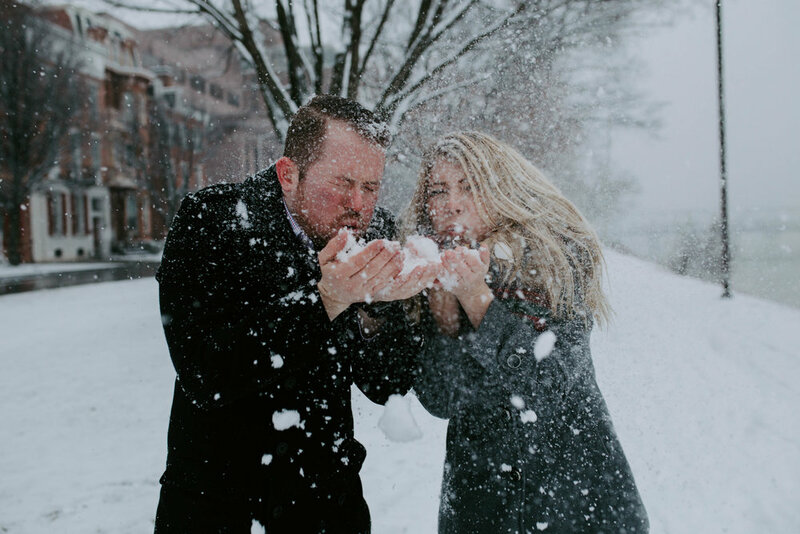 This shoot was full of love, puppy snuggles, laughter and snow ball fights. 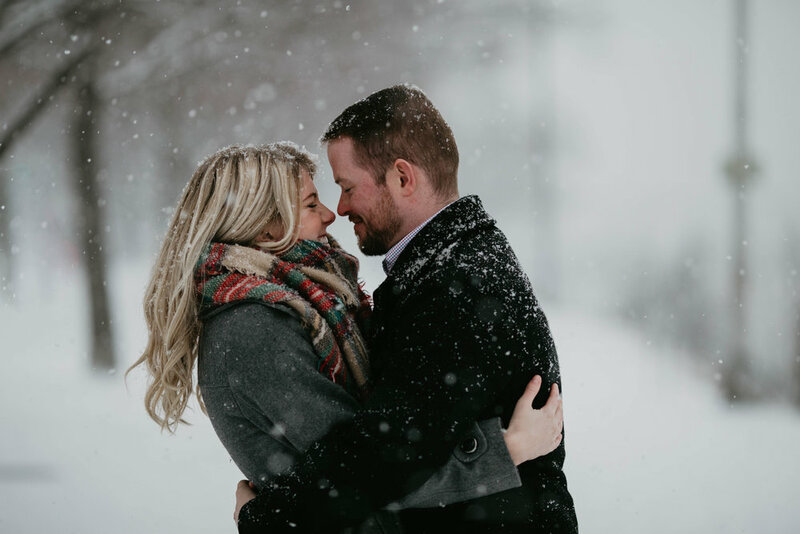 I can't wait to shoot their wedding!